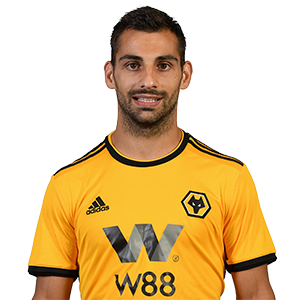 Spaniard Jonny Castro Otto joined Wolves on a permanent transfer in January 2019, after impressing on loan from La Liga side Atletico Madrid. The 24-year-old can play on either flank, but has appeared most regularly on the left during 2018/19. Otto’s loan move to Wolves came on the back of solid campaign with Celta Vigo during 2017/18, where he missed just two La Liga games. The full-back has been at Abanca-Balaídos his entire career to date, after progressing through the youth system to make more than 200 senior appearances. In 2016/17 Jonny was a regular fixture in the Celta Vigo side which made it to the semi-final of the Europa League and was narrowly beaten by Manchester United over two legs. Away from Celta Vigo, Jonny has played internationally for four different Spanish youth groups and won the European Under-19 Championship back in 2012. At Wolves, Jonny bagged his first Wolves goal against Southampton in September 2018.